VISIT US AT WWW.THETRAILERSPOT.COM For a complete list of Trailers, Options, and Special Promotions/Pricing! Please note that in the pictures, there are many options shown that are Optional. 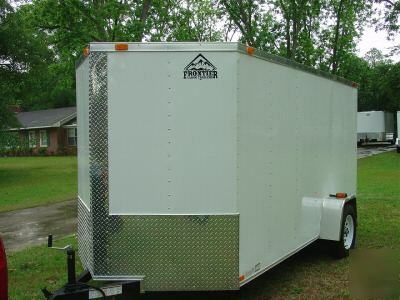 Your trailer will be custom manufactured, with the equipment you want. The pictures are there for you to see what we can do.